Owen Mumford Unifine Pentips Plus Original 12mm 29G are the next generation in pen needles. They combine the superior performance of the Unifine Pentips, with the world first built-in remover for safer, personal use. The result is maximum comfort, plus the ultimate in pen needle convenience. Ref # AN3829. Box of 100. Owen Mumford Unifine Pentips Plus Original 12mm 29G are the epicenter of modern evolution in pen needles. 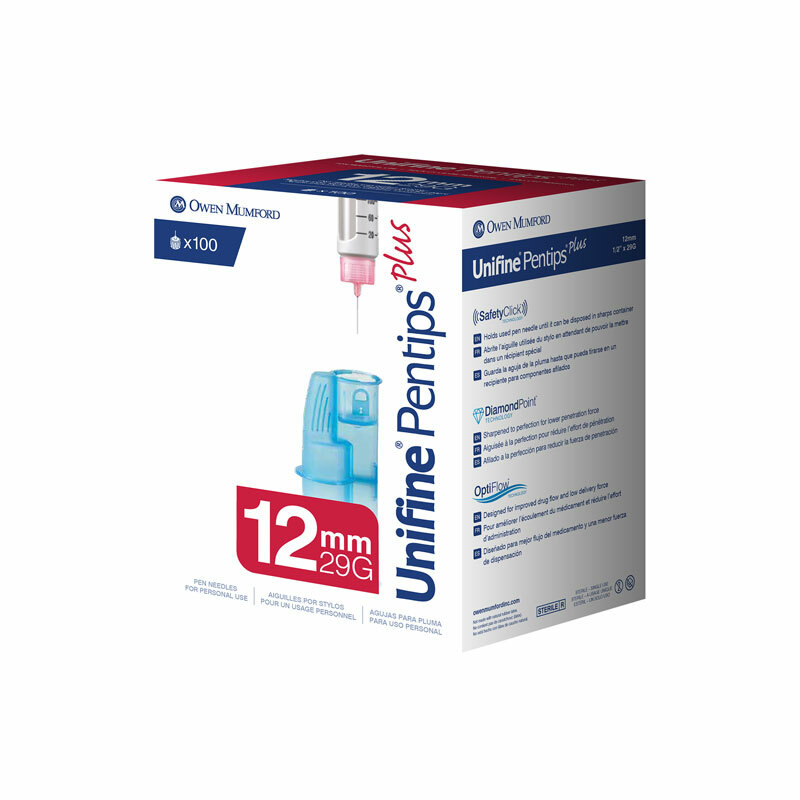 They incorporate the well established superior performance of the Unifine Pentips along with the world’s first built-in needle remover for safer use. What this amounts to is the ultimate experience in pen needle convenience with maximum comfort. Ref # AN3829 Box of 100. Modern technology – The Unifine Pentips Plus Original features the world’s first built-in remover unlike other pen needles. Unifine Pentips Plus Original fits easily into Owen Mumford’s Autopen. This product is the very best! I am a senior gentleman 85 years of age and give myself 4 insulin shots a day. My fingers are restricted and weak. But with Owen Mumford's double chamber design these pen needles are extremely easy to install and remove. Once tried, you will never require any other product. By all means, give them a try. You'll be friends with Owen Mumford forever. Many KUDOS Owen Mumford!